Turning sunlight into electricity is done in more ways than the common rooftop photovoltaic panel. 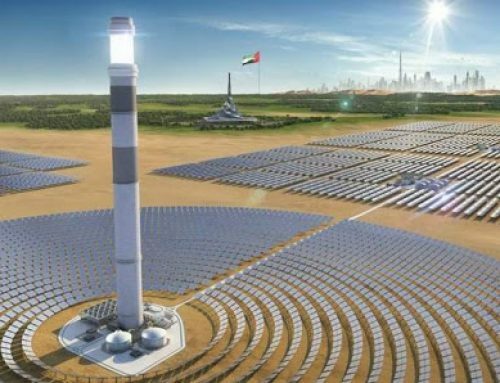 For instance, concentrating solar power (CSP) technology focuses sunlight on a receiver and converts that into thermal energy, which can drive a turbine and thereby generate electricity. 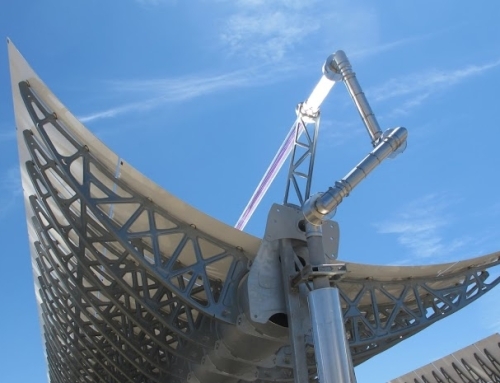 A research program at Idaho National Laboratory aims to answer some critical questions about materials needed for the Gen3 CSP plants, the next generation. 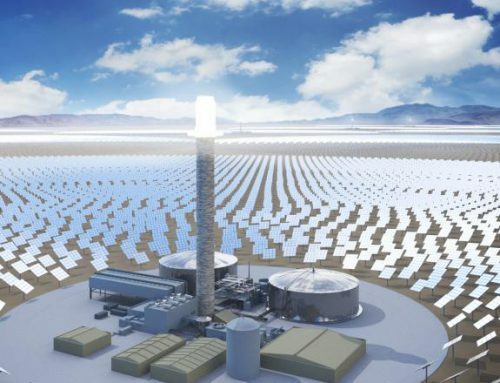 The goal is for these new plants to operate at far hotter temperatures than currently available technologies, while incorporating thermal energy storage. 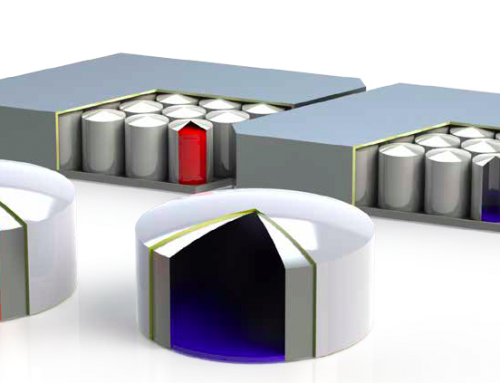 Thermal storage allows the plant to operate when the sun passes behind a cloud, or around the clock. Because the heat goes directly into storage, CSP plants can generate electricity any time of day or night, a capability that enhances electric grid reliability. Current CSP plants, however, are not cost competitive in the U.S., producing electricity at more than 10 cents per kilowatt-hour in even the best of cases. The Department of Energy Solar Energy Technologies Office aims to cut that cost to under 5 cents/kWh by 2030 with 12 or more hours of storage, reducing the cost by half. To achieve that goal, CSP technologies must run hotter than the current generation, which operates at a maximum of about 565 degrees C (around 1,020 degrees F). In contrast, the Gen3 technology will run at 750 C (or more than 1,380 F) and will have to do so for 30 years. Such conditions will require more robust components that can resist fatigue, corrosion and other materials challenges. To reduce the risk of failures, industry needs a suitable material to build the fluid containment walls. It also needs to know how thick to make those walls and tubing. Without such information, a Gen3 CSP plant, which has an estimated construction cost in the hundreds of millions of dollars, can’t be built. Materials challenges are due in part to temperature fluctuations. During the day, the thermal receiver — the target of the concentrated sunlight — will reach temperatures above the operating point, perhaps as high as 850 degrees C. At night, the receiver will cool down. So, the temperature swings will be many hundreds of degrees daily. Material expands when heated and contracts when cooled. These frequent temperature swings cause different parts of the thermal receiver to expand or contract at different rates and times, resulting in stress on the material. Stresses fatigue and wear out components, making them crack and shortening the life of components like the thermal receiver. That is where INL’s million-dollar DOE research award comes in. It is part of the DOE Solar Energy Technologies Office Gen3 CSP program. 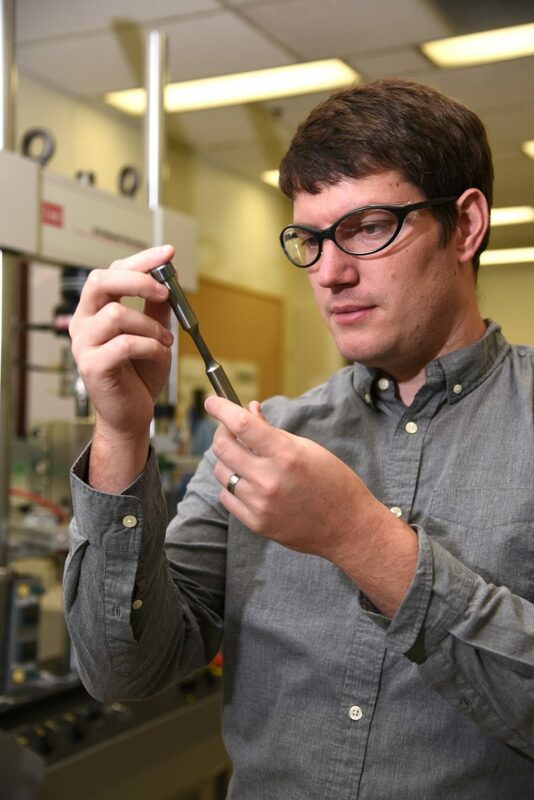 The goal of INL’s award is to determine vital information about the materials used for tanks, piping and other critical structures in Gen3 CSP gas-fluid plants. “We have a number of different alloys that we’re considering, all nickel alloys,” McMurtrey said. 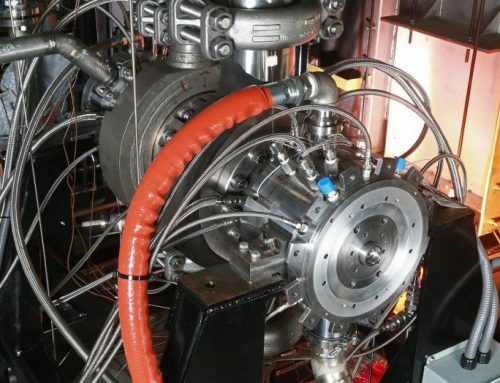 The same alloys and the information about them could be useful in any Gen3 configurations, such as those that use molten salt or high-temperature gas for the heat-carrying fluid. The researchers are looking at the candidate alloys’ “creep” and “fatigue” as well as the interaction between the two, or creep-fatigue. Creep testing involves putting a material under stress at a high temperature until it fails. Fatigue testing cycles the stress, with the material alternately stretched in tension and compressed. For creep-fatigue, the researchers heat up the specimen and put it under tension for, say, 30 minutes. Then they cycle the load (go from tension to compression and back up to tension), and the material is held under tension stress again. This is repeated until the specimen breaks. Of the three, creep testing takes the most time because the material deforms slowly and can require thousands (or tens of thousands) of hours to fail. The other two are quicker, as the cyclic stress causes rapid failure of the specimen. All three pieces of information yield performance curves that designers use to ensure plant components will function safely throughout the plant’s life. Over the two-year course of the study, the investigators will develop information engineers need to design Gen3 CSP plants. That data will show how thin the material can be while still hitting lifetime operating goals. Plant designers will then have the data needed to make trade-offs between the cost of the alloy versus the expense of taking the plant down and replacing a part on, for example, a 10-year schedule. Financial backers of a plant can then be more certain that their investments will pay off. This is the type of data that everyone in the industry needs but no company may want to pay for. The knowledge gap is one a national lab is uniquely able to bridge, McMurtrey noted.